Section B meets the 1-hour Florida specialty requirements in administration/supervision, clinical chemistry, hematology, and molecular pathology. Section C meets the 1-hour Florida specialty requirements in clinical chemistry, microbiology, serology/immunology, and immunohematology and blood bank/donor processing. 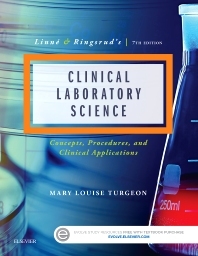 The 7th edition of Clinical Laboratory Science: The Basics and Routine Techniques is designed to fulfill the needs of medical laboratory personnel for a comprehensive entry level textbook. It describes basic concepts in laboratory medicine, outlines underlying theories of routine laboratory procedures performed in clinical laboratories of varying sizes and geographical locations, and presents case studies. Section A quiz (Chapters 1-10): Fundamentals of the Clinical Laboratory; Safety; Quality Assessment and Quality Control; Phlebotomy; The Microscope; Systems of Measurement, Laboratory Equipment, and Reagents; Laboratory Mathematics and Solution Preparation; Basic and Contemporary Techniques in the Clinical Laboratory; Delivery of Laboratory Testing; Introduction to Clinical Chemistry. Section B quiz (Chapters 11-13): Principles and Practice of Clinical Hematology; Hemostasis and blood coagulation; Renal Physiology and Urinalysis.